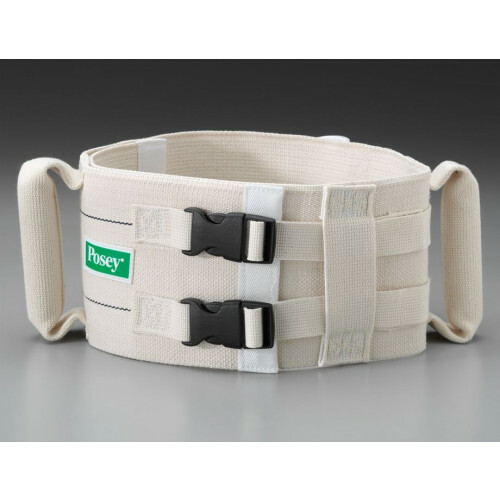 The Posey Ergonomic Walking Belts is constructed of durable, heavy cotton with plastic handles on each side and a rear cotton handle to provide a firm grip for attendants on either side of the patient. 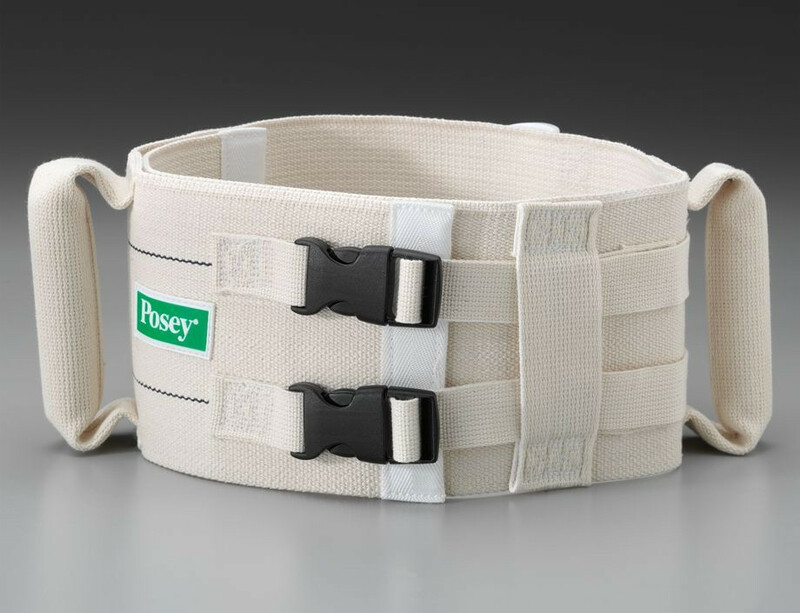 Plus, clinical research demonstrates the Posey Ergonomic Walking Belt reduces caregiver back injuries by 50% when used in conjunction with teaching interventions. Can this walking.belt,be used.as a transfer belt ? It is not recommended for use as a transfer belt. 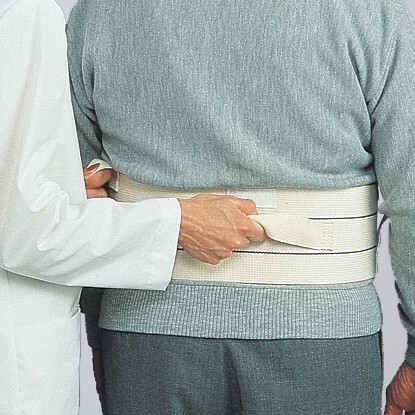 I am a physical therapist and needed this belt quickly to do a training. Vitality was one of the few companies that had express shipping available. The belt is exacly what I needed and came within the time frame promised. My dad has alzheimers and sometimes he forgets how to walk and my mom is by herself alot of the time. Where she had to lift him up under his arms were getting to sore for her to touch not to mention the toll it was taking on my moms back. I purchase this belt about two weeks ago and she loves it. Gives her handles on my dad that she didnt have before, and you know anything with a handle is better than not. So two weeks in, she has been able to get him up by herself without pain to either one of them, Kutos to who came up with this. Very fast shipping and love the Gait Trainer Belt, makes it alot easier on the back. 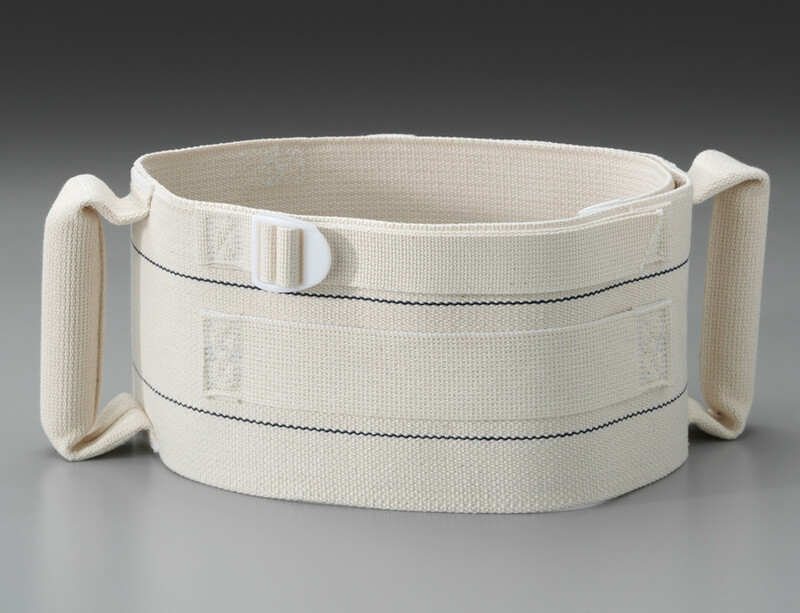 The walking gait belt that I ordered for my son was reasonably priced and was shipped quickly. I would highly recommend this company to anyone!